EarlySalary starts offering instant salary advance in Kolkata. The app has received 2Million downloads & has successfully disbursed Rs. 250 Cr of loans. The company offers instant cash ranging from Rs. 8,000 upto Rs. 2 lacs. 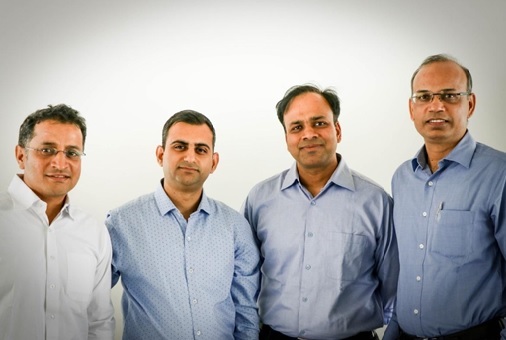 Founded by Akshay Mehrotra and Ashish Goyal, EarlySalary is a mobile app which allows salaried individuals to avail of instant loans for a few days or till the next salary cycle. These loans are similar to salary advances or credit card cash withdrawals, empowering consumers with ready cash when it is most needed. The company conducts prudent risk assessment by leveraging machine learning to go beyond financial underwriting. With over 2 Million app downloads & disbursed nearly Rs.250 Cr of instant loan across the country, EarlySalary is fast becoming the 1st line of credit for young working professionals in India The company has been working on introducing multiple products, line of credit functionality, EMIs and other products focused towards helping young working professions with credit needs. Short duration: Cash loans from 7 days up to 30 days for the first loans and repeat customers can get longer tenure loans also. Shop now and pay later - ability to use the loan limit to shop online on credit.